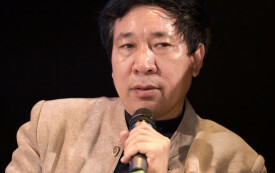 Yan Lianke, who is based in Beijing, is the author of numerous novels and short stories. He was a 2013 finalist for the Man Booker International Prize and the 2014 recipient of the Franz Kafka Prize. Chinese novelist Yan Lianke on censorship and the dream of getting published without writing drivel.